See also: What are the different types of solar inverters? Inverter technologies have advanced significantly, such that in addition to converting DC to AC, they provide a number of other capabilities and services to ensure that the inverter can operate at an optimal performance level, such as data monitoring, advanced utility controls, applications and system design engineering. Inverter manufacturers also provide post-installation services that are integral to maintaining energy production and a high level of performance for the project, including preventative maintenance, O&M services and a quick mean time to repair (MTTR). As the price of modules fall, inverters and additional system components have become a focus in price reduction for EPCs looking for a new competitive edge. As a result, inverter manufacturers are continually trying to drive down the cost curve of products. Some companies have been able to do that successfully with modifications to manufacturing strategies and building additional manufacturing facilities within emerging solar markets. Additionally, companies have taken the core concept of “design for manufacturability”—meaning they design a product with ease of manufacturing in mind—to design inverter products that are quicker and cheaper to produce, without sacrificing performance. Inverter manufacturers have also been able to achieve lower-cost success through well-maintained partnerships with vendors. The continued challenge of providing higher and higher value at lower cost is something the industry must work to overcome. High PV penetration and the impact it will have on our aging electric grid is another challenge the entire solar industry faces. The challenge itself isn’t specific to inverters, but the solution may be entirely inverter-driven. Because inverters serve as a gateway to the system, advanced utility controls, such as low-voltage ride through, can help mitigate the issues that stem from higher PV penetration on the grid, such as predictability of output and distributed generation. These functions help ease the transition as more solar is built, without the need for major and expensive infrastructure upgrades. Utilities are keen to support the development and use of inverters with the most proven functionalities when it comes to grid interconnection. 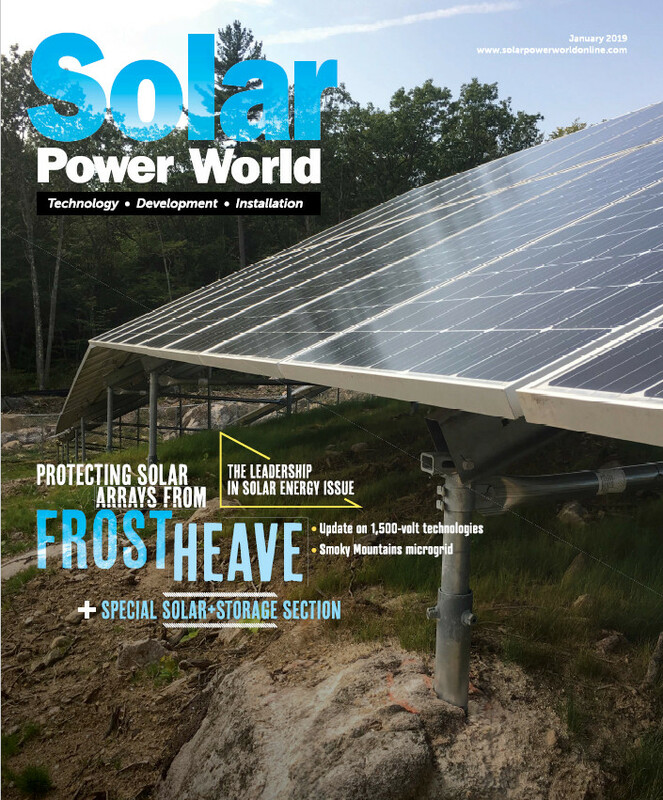 Given the growth in distributed generation projects along with continued development of utility-scale projects, solar project developers are seeking inverter manufacturers that can provide a robust suite of commercial products and technology topologies. A flexible inverter manufacturer can offer a centralized and decentralized inverter design, referring to an architecture that uses multiple inverters throughout a project to achieve the lowest levelized cost of energy (LCOE) possible. Although there’s still growing demand for a common system architecture using a centralized inverter, designing in three-phase string inverters for a decentralized PV system design is gaining in popularity. This is particularly true in commercial applications where space is at a premium or in an odd form. Inverters have evolved from much more than simply inverting the electrical currents of a solar energy system. Inverters must continue to innovate and bring down cost, while maintaining key attributes for a solar energy system (reliability, efficiency and features such as data monitoring), in order to drive more PV penetration. This story was originally contributed by Mike Dooley, Vice President of Marketing at Advanced Energy. It was updated to reflect current guidelines on May 1, 2018. Find the right inverter for your project by glancing through our easy-to-use inverter database. What are the advantages of using string inverters in commercial and small utility projects? I have inverter that is not charging the battries but its only converting dc in to ac. any solution? The inverter does not charge the batteries it is the batteries are either charged by solar modules, main supply or by a generating set. The major function of d inverter is to invert from DC to AC for consumption purposes. ajadika and Dushantha both asked similar questions, but no one has answered…. ?? Does ANYone know? Thanks for the article. In case of a power failure during the day time, will the house get electricity through the inverter? Yes, it can ,that needs a special type of inverter with hybrid function , I think SMA has that variant in its residential inverters. Suppose I have an inverter attached to battery and ac power both. Now I attach a solar panel and controller to the inverter. Now if it is day time, and ac power is gone, what would happen, would solar keep on charging the battery? or it would stop charging and give power to my inverter for my ac load.? 1. There are a lot of ways to integrate a solar PV inverter with storage, but the most important thing is to design a system to meet the needs of your specific use case. If the PV inverter has a multi-port, 2-DC-in and 1-DC-out interface with the ability to accept a battery, it could directly provide backup power, power quality, load shifting and more services, according to the appropriate use case strategy. If the battery is added after the PV is installed, an AC coupled system would be a better option, with the battery having its own inverter separate from the solar inverter, with a controller coordinating the when the battery is charged and discharged. Of course, the inverter must be a bi-directional to perform most of these functions. 2. AE focuses on commercial and utility scale inverters. I recommend you consult a manufacturer of residential inverters. Thanks very much for this article. It was very informative and it shows maybe a potential for retrofits. So glad you enjoyed it Chris! Thanks for reading.